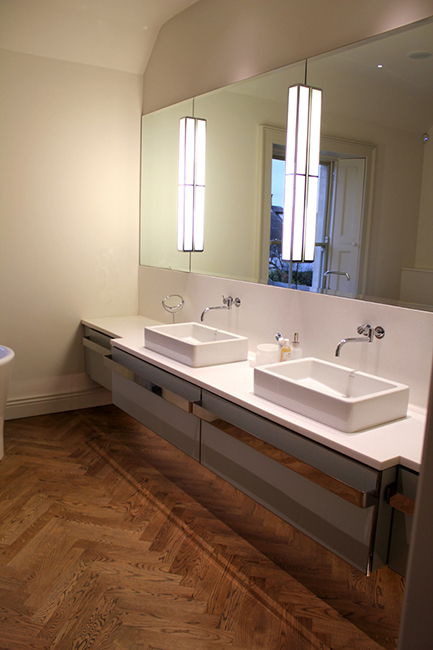 This a long floating cabinet designed for two basins. This long units main feature is the handmade stainless steel handles. 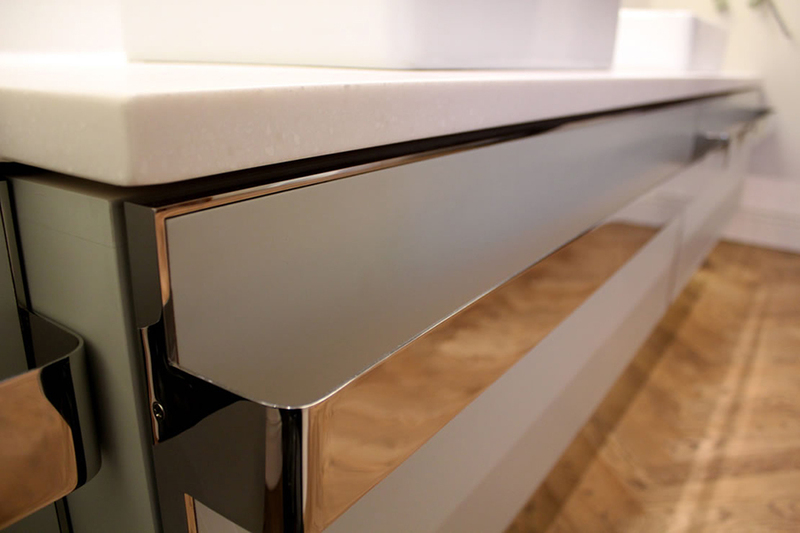 The mirror polished stainless steel framed drawer fronts contrast to the matt lacquered front and the corian top. Under the cabinet we fitted a nice warm LED strip to highlight the nice floor.